My sister is due any day now with her second baby girl. 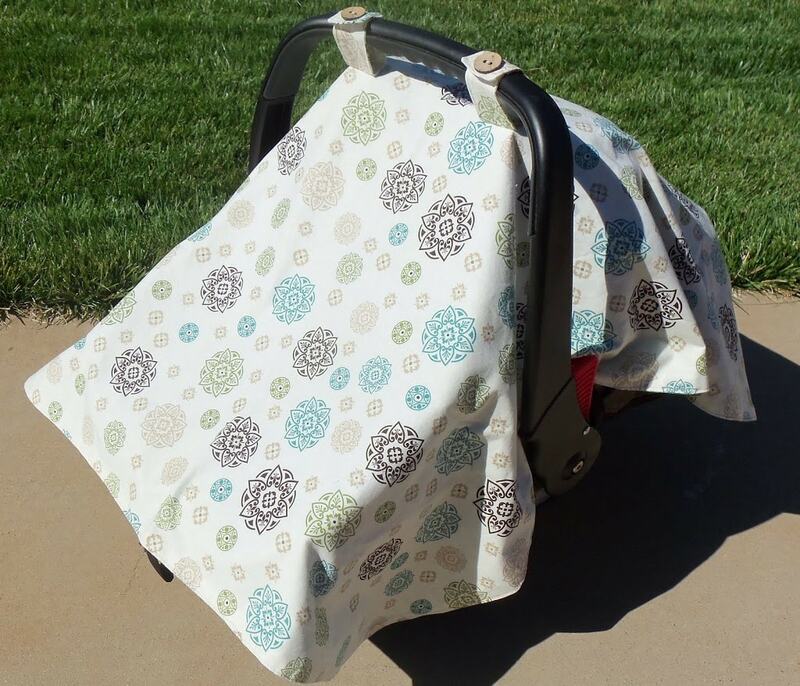 I decided that she needed a car seat canopy. 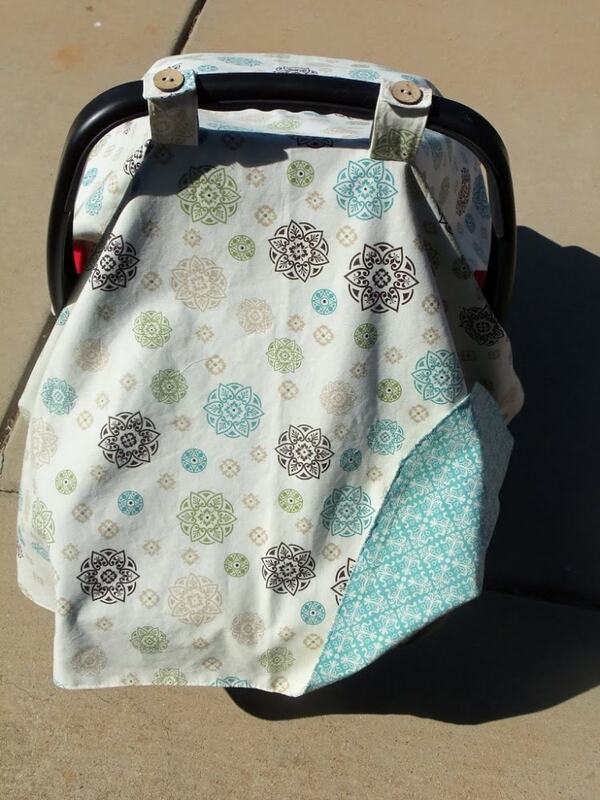 So much better than just draping a blanket over the seat! I found this great little tutorial on creatively christy. FYI, you will need about a yard and 1/4 of the top fabric. I only bought a yard because I didn’t see that I would need more for the straps. Two trips to the fabric store is no fun. I opted to go with buttons instead of Velcro. I’ve never made button holes before, but my Brother sewing machine has this awesome mode that makes them for you. It was so cool! I want to put button holes on EVERYTHING! 🙂 I found these cute little wooden buttons to use. 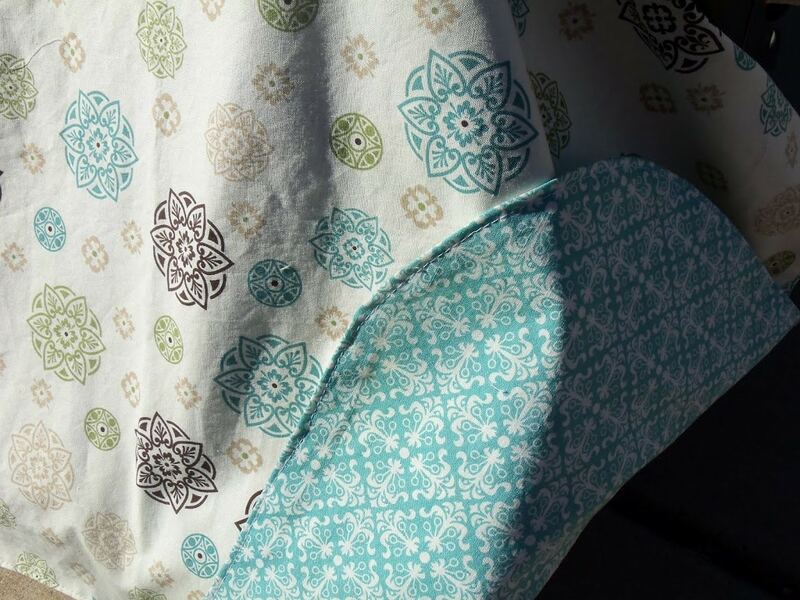 And don’t you just love this fabric? It’s called Aqua Damask Medallion from Joanns. It also comes in pink. So cute! 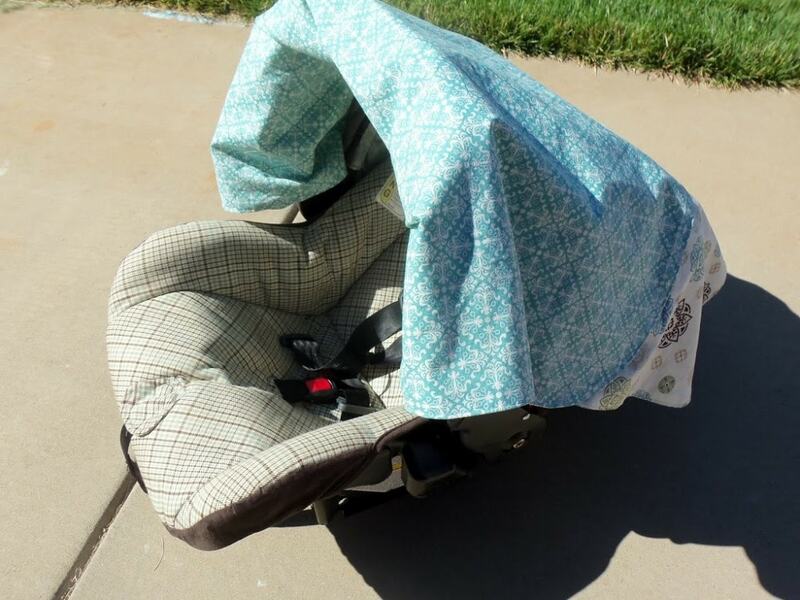 My sister’s car seat is green, and she requested that the canopy be gender neutral in case they decide to have another baby in the future. This was super easy. I think I might just make a few and have them on hand to give away as baby shower gifts. This is SOOO cute! I always love your fabric choices!!! Have fun making more button holes on a variety of projects. LOL! Oh, and congrats to your sister! 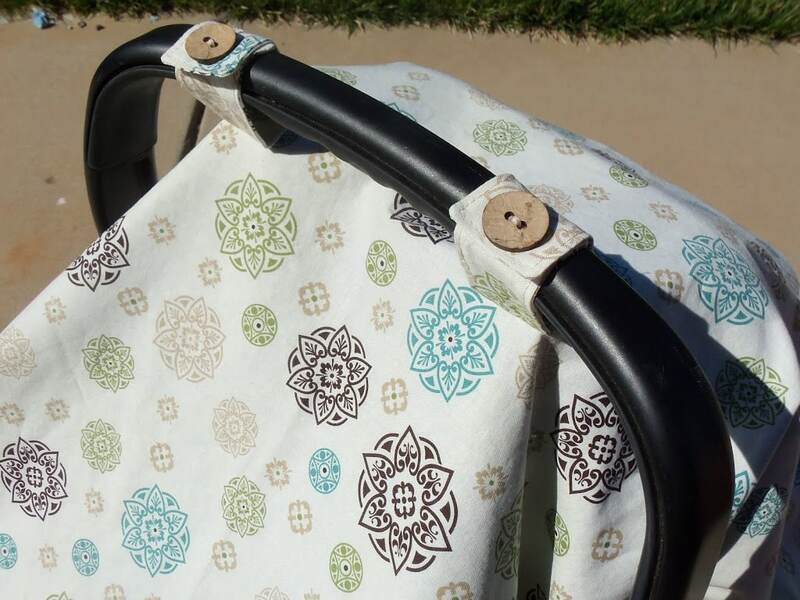 Thanx, Jessica, for the link to the instructions for the carseat cover! Got a few shower gifts to make and this I what I wanted to do. I might have been able to make one on my own, but wasn’t sure till I saw the instructs. looks very easy and quick. Thanx again for your time and kindness.